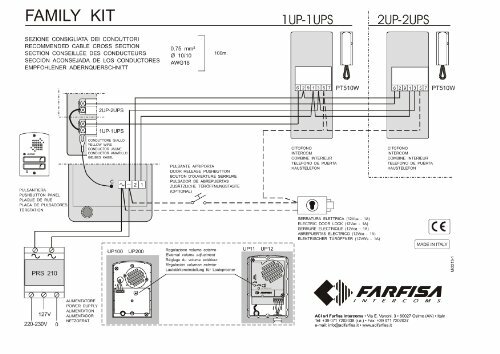 Family kit for two-way audio systems. It is contained in carton box that includes Project intercom, power supply and UP push button panel. Offers a cost effective solution for two-way systems. Complete with door-lock release button, spiral cord, electronic microphone. 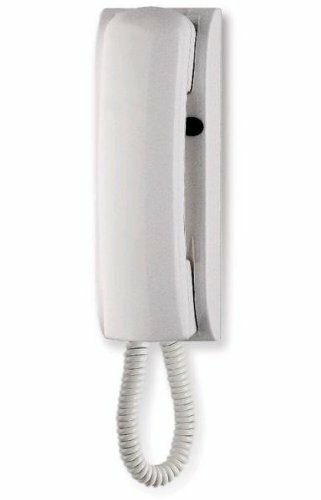 Suitable for 4+1 intercom systems with alternate current call and electronic call. External push button panel with amplified electric speaker﻿ and 2 buttons, for 4 + 1 installation. Family kit for two-way audio systems. 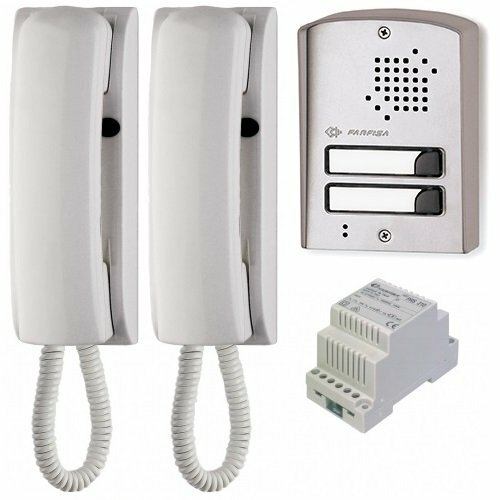 It is contained in carton box that includes Project intercoms, power supply and UP push button panel.Features • Offers a cost effective solution for two-way systems. • Power supply included.2x PT510W Audio Intercom • Basic intercom of Project series. Complete with door-lock release button, spiral cord, electronic microphone. 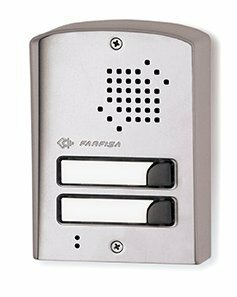 Suitable for 4+1 intercom systems with alternate current call and electronic call. • Buttons: 11x UP200 Push Button Panel with 1 Button • External push button panel with amplified electric speaker﻿ and 2 buttons, for 4 + 1 installation. • To be wall mounted. • The front panel is made of anodised aluminium. 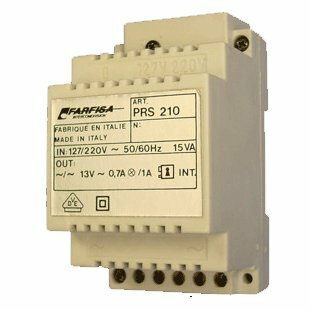 • Mounting Assembly: Surface Mounted﻿1x PRS210 Power Supply • 5VA transformer. • 3 A modules in DIN bar, otherwise it can be mounted on the wall.